Lakewood stamped steel motor mounts are the ideal alternative to noisy, vibrating solid mounts. 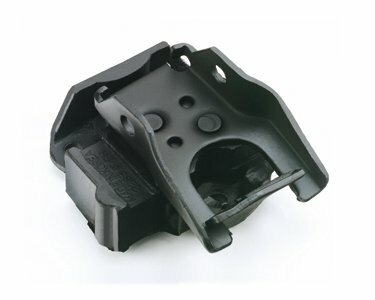 Heavy gauge steel frame and engine brackets are vulcanized to hard durometer rubber. Safety interlock design eliminates need for torque straps or cables.